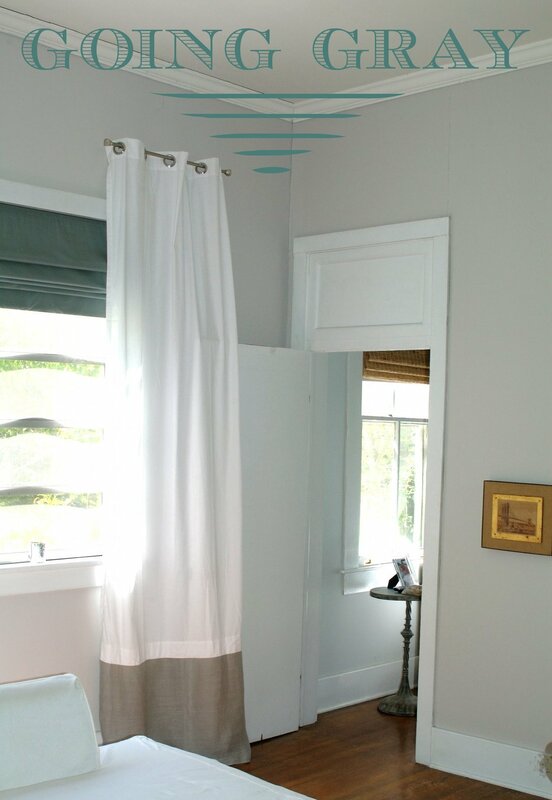 Now, I am certainly no expert on picking the perfect paint color the first time around, but I do get lucky sometimes. 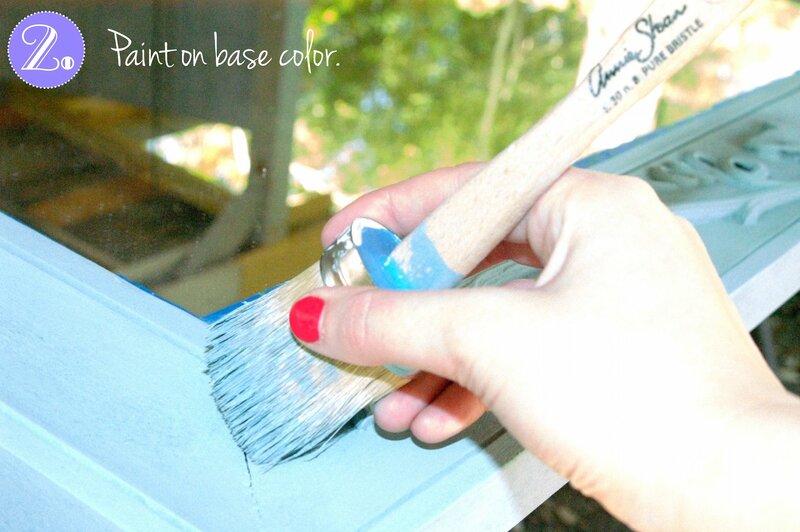 Nevertheless, with my errors comes a bit of “wisdom.” Some things I learned the hard way…A gray that looks awesome on Pinterest can look totally different on a paint swatch or in the can. 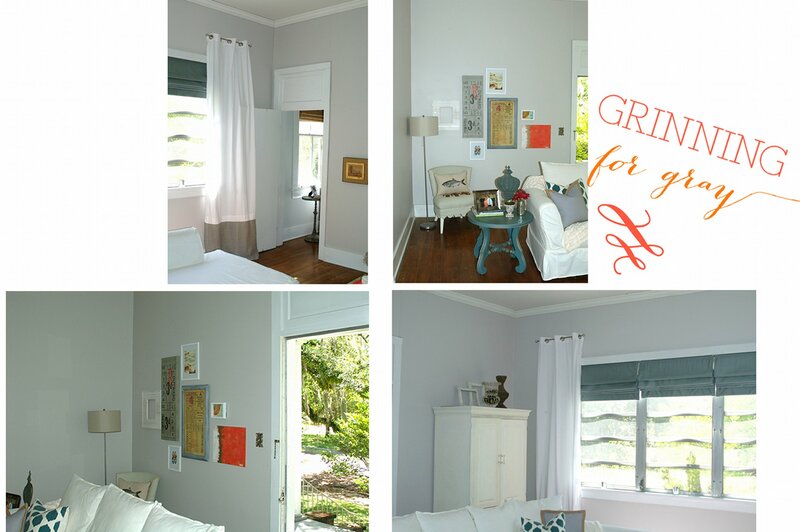 That gray you loved so much can be totally different on your walls when the sun comes in, or when it’s dark out, or when there is a lamp turned on, and even when there is a sofa sitting in front of it. It blows my mind . Paint chips really don’t tell us much! That color might look fine in the store, under those awful lights, but we have no way of knowing what it will look like in our home. Get samples! 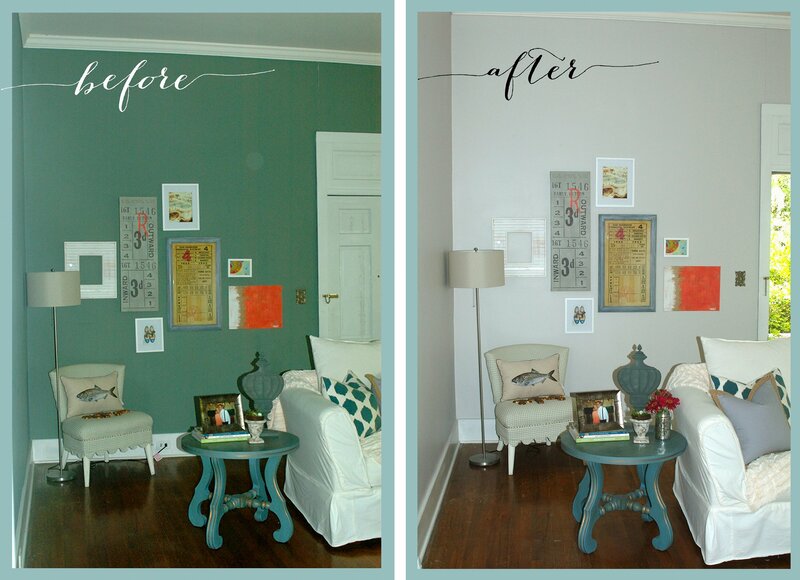 Paint large swatches on multiples walls, and live with it for a day. This will allow you to see each color at every time of day. I sure have learned the hard way, that many grays look lavender in the evening. Not the look I was going for. Look to the bottom. If you fear that the gray you are initially drawn to looks a bit too blue or purple, look lower on the chip. The darkest color on the paint strip is your bestie! If you absolutely have to pick a paint color in the store, it helps to hold it next to something white. This will allow you to see it’s true color. 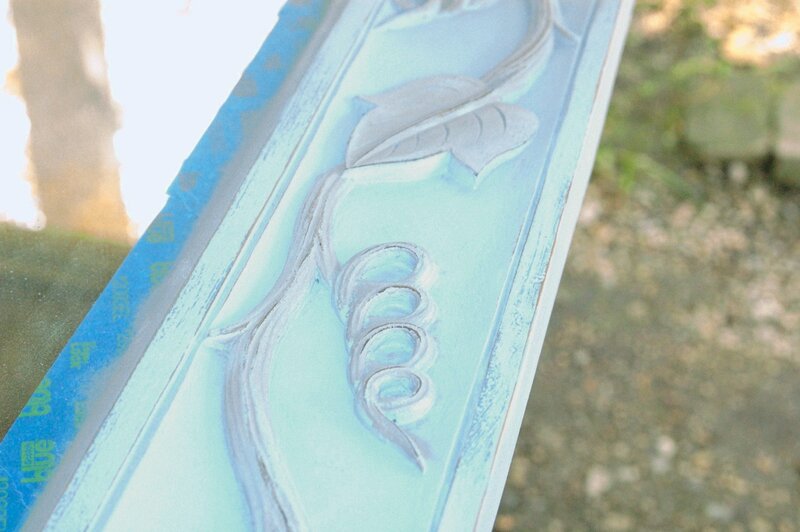 A painter also told me to hold the swatch up in air to see it’s true color. It worked! Go darker! Once you sort through all of your options and finally pick the ONE you LOVE, go one shade darker. Just trust me. 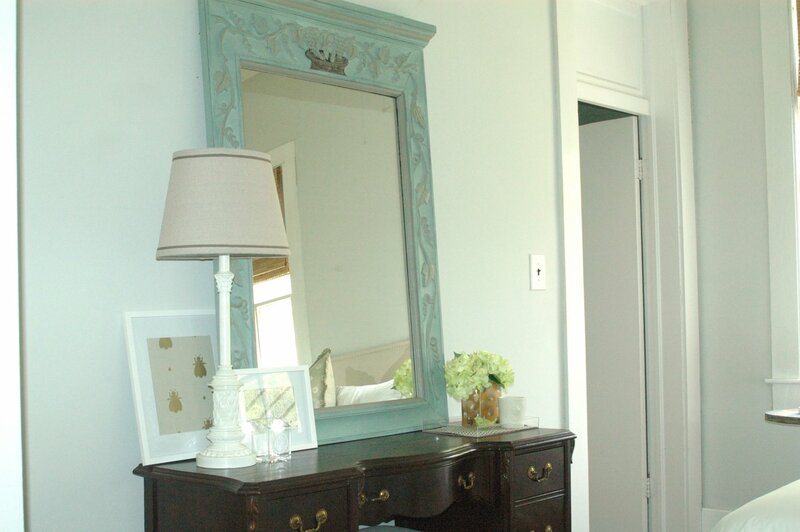 When I moved in to my place, the living room walls were painted a strange, muted green color. Not my thing. Surprisingly, everyone that came over just swooned over it. Of course, I will accept any compliment with a gracious smile….but that green HAD to go. STAT! Here is the finished product…All “gray-ed” out! 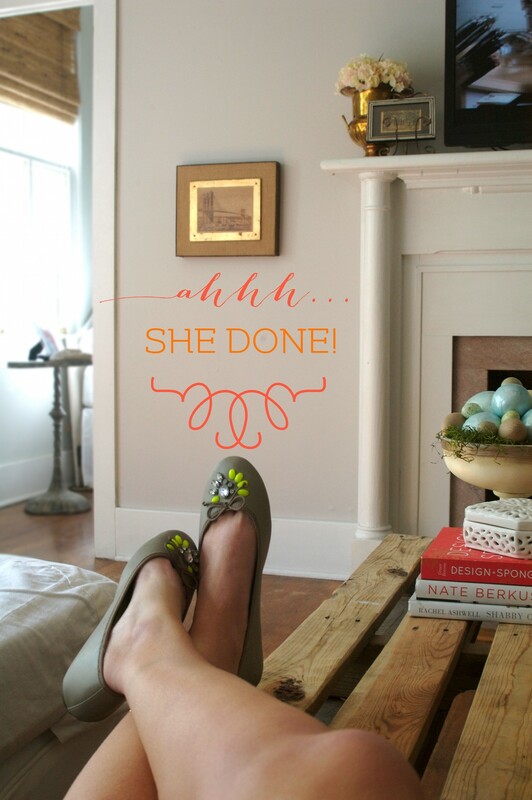 I am so excited to say that my annual spring cleaning mission is complete! In order for me to tackle such a daunting task, my strategy was to work bit-by-bit. Try to clean the whole house in a weekend, and you’re done-zo! Trying to maintain a steady pace, doing one project a day, I worked my way up, from bottom to top. 1. Start with floors, rugs, and baseboards. 2. Move on to waist level surfaces. Clean upholstery, dust/polish furniture, wash all bed linens. 3. Continue on with eye level surfaces. 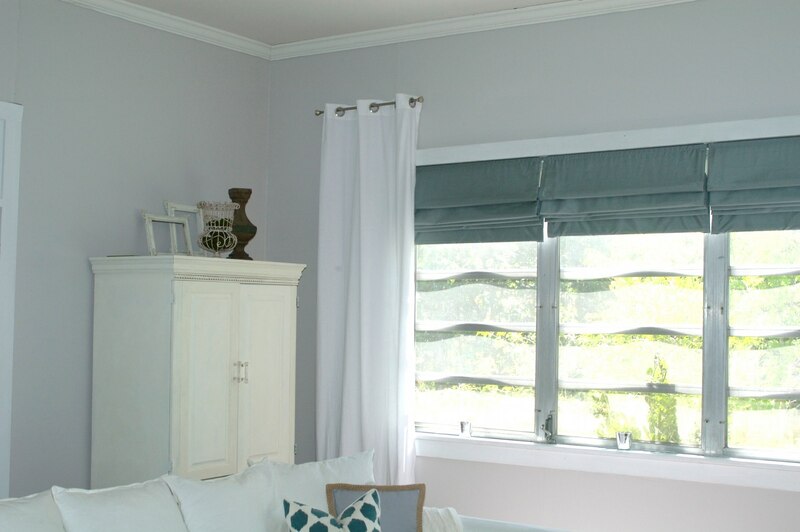 Clean window and window sills, wash drapes, dust wall hanging (art, etc. ), and dust above furniture. 4. Up high! 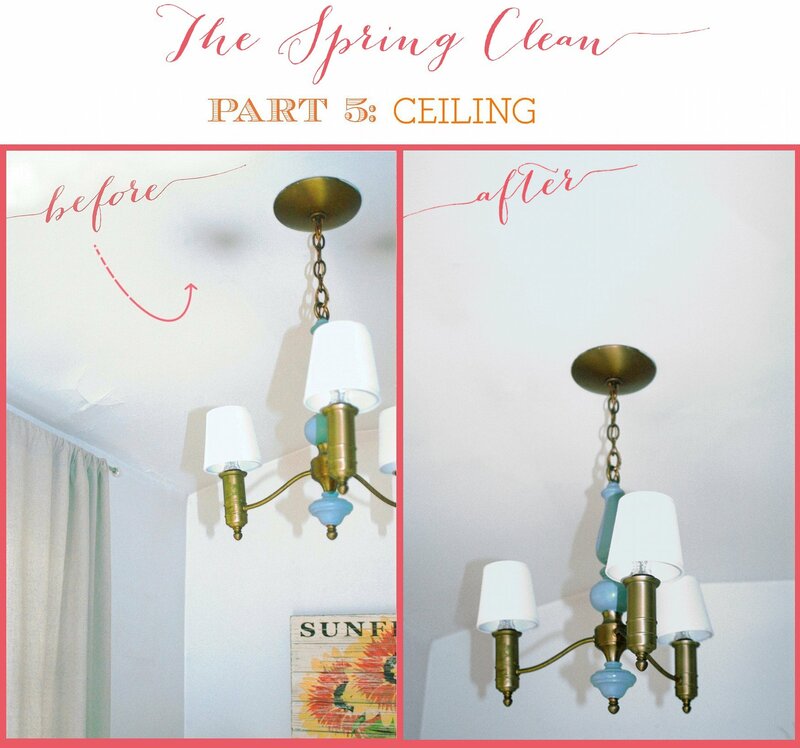 Dust or vacuum above cabinets, dust ceiling fans and air vents, change out light bulbs, clean light fixtures, sweep away any cobwebs on the ceiling, and finally CLEAN THE CEILING! So cleaning the ceiling is definitely not something I do “on the reg.” The truth is, I never noticed they needed to be cleaned until I moved into this “quirky” old house of mine. Does anyone else ever have those days where they just get wild with a magic eraser? Well it happens to me about once a week. I whip out a new eraser and clean as many surfaces as I can get my hands on. It all started with an innocent wipe down of my backsplash, which lead to “magically erasing” my cabinet doors. That eventually lead to me cleaning those little splatters we get on kitchen walls. It wasn’t until I was wiping down my kitchen walls, that I looked up, and AHH! I had some serious damage on my ceiling. Not quite sure what to even call it. 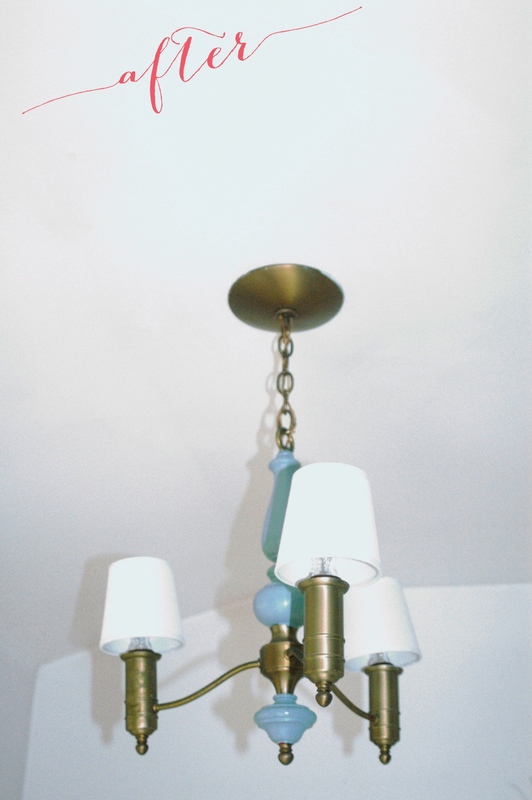 But you know what I am talking about…Those grey-ish areas above your chandeliers. Perhaps its from using bulbs with the wrong wattage, or not, I don’t know. All I know is, a burnt looking ceiling is un-cool, and unattractive. I knew if my magic eraser could handle weird greasy residue from Lord knows what, it could probably tackle my little issue on the ceiling. So with my trusty M.E. in hand and a step ladder, I climbed on up and erased the crap-ola out of my ceiling. It really was effortless, and the results were amazing. P.S. 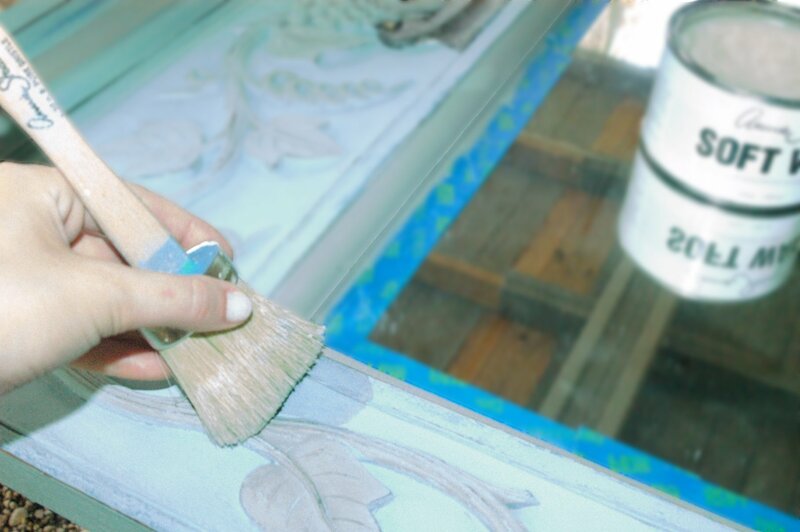 While you are up on that ladder, take the time to give your chandelier a good wipe down. If your bulbs are fresh and still have some life in them, then dust them off. 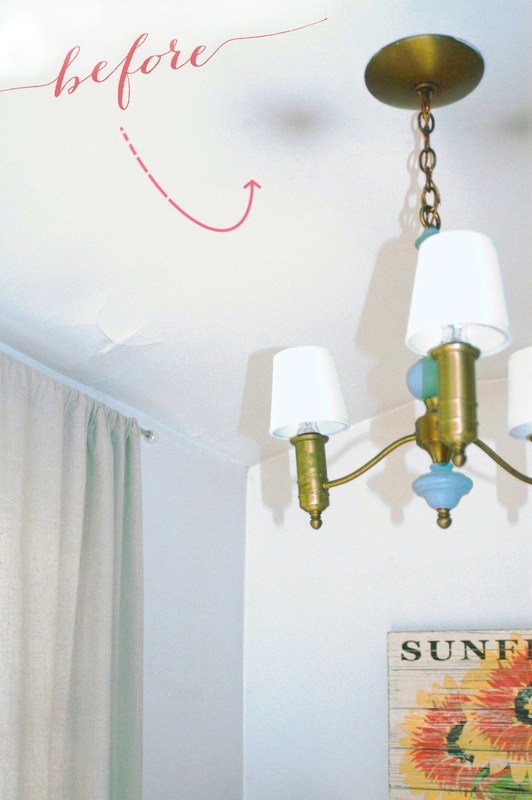 You might be surprised at how much brighter your room gets once your bulbs are dust-free. 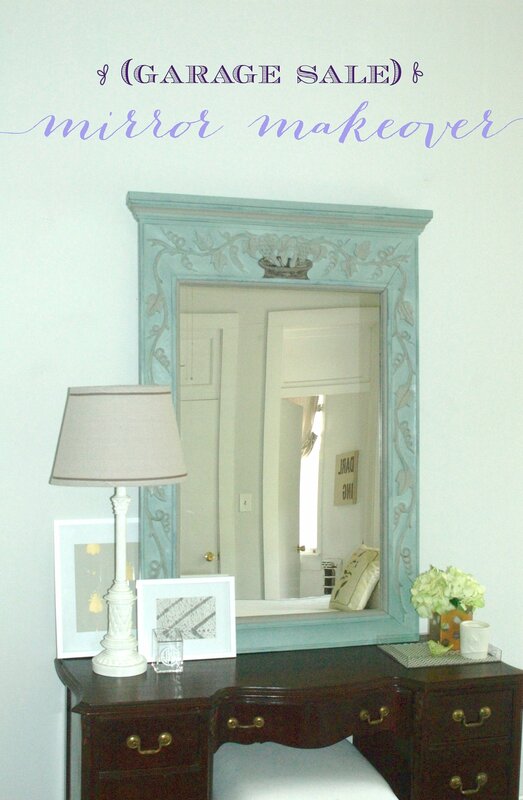 When I stumbled upon this mirror if was priced at $70. 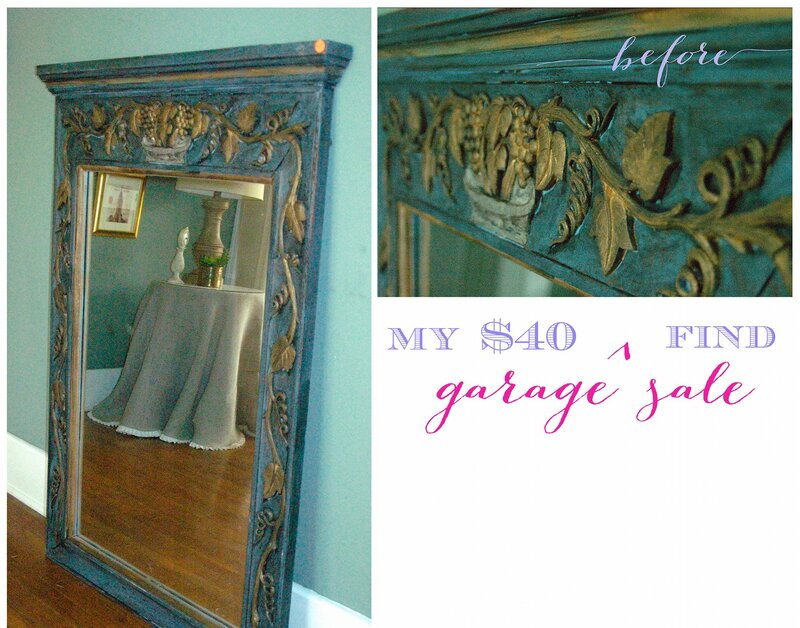 Not bad for such a large mirror, but still more than I was willing to pay for “previously owned.” A quick bat of the eye and we were down to $50. SOLD (to the chick way too overdressed for this crowd)! He loaded me up and I was out of there. 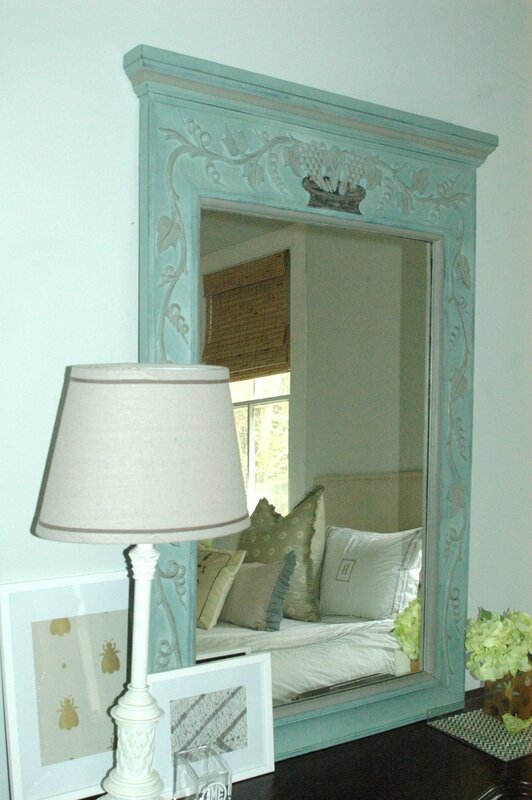 I certainly was not crazy about the color of the mirror, but I knew for such a large, solid piece, it was well worth it. Time for a makeover! Pick your color. 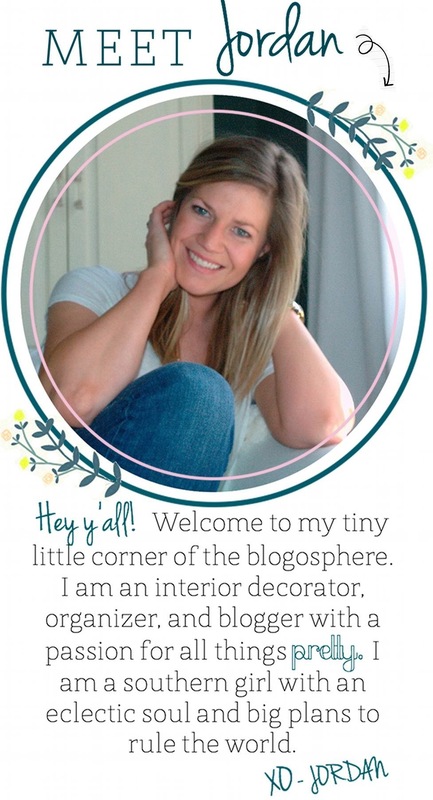 I LOVE Annie Sloan! I have read her books and attended the classes. 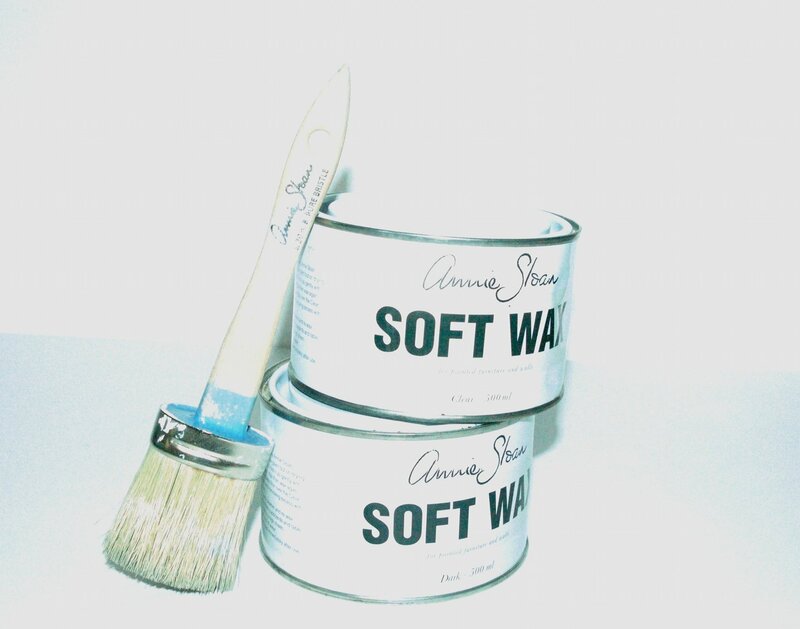 I am an unofficial Annie Sloan supporter. 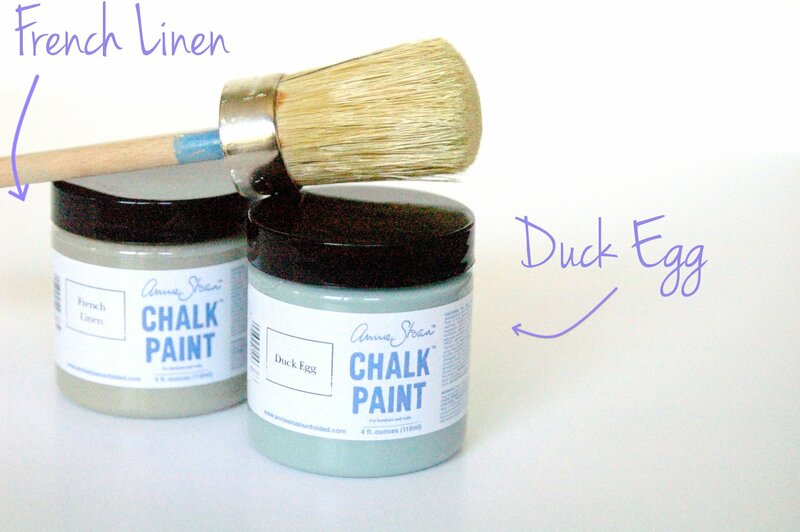 For this project I picked Duck Egg to use as my base color, and French Linen as my accent color. Give your piece a good wipe down. 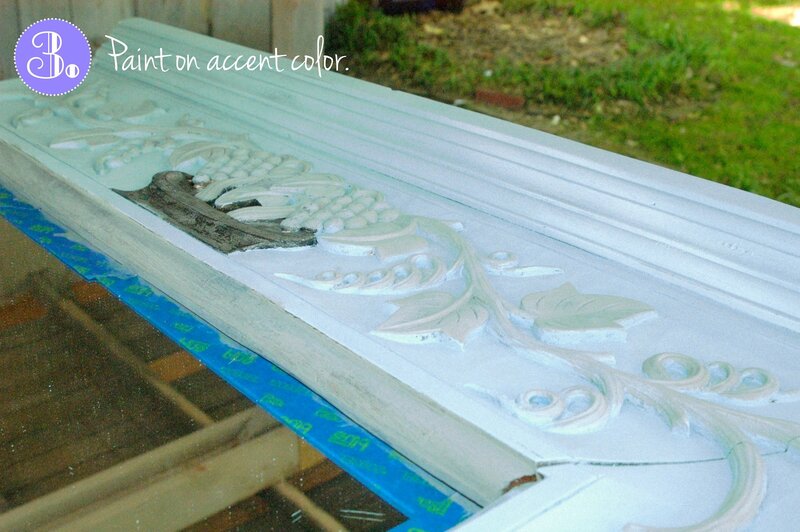 One of the many Annie Sloan pros: no sanding necessary! To make things even easier, I decided to paint everything that was initially gold, in my accent color (French Linen). Don’t get too fancy with it. Nothing has to be perfect. 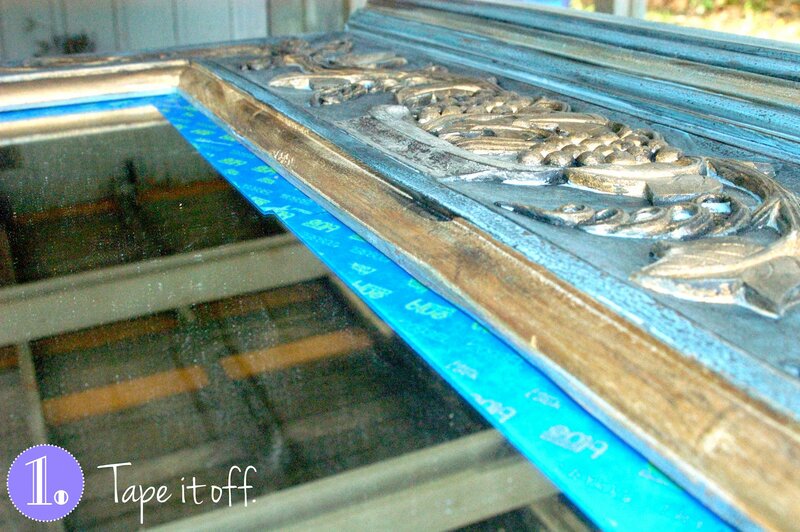 After the painting is complete, I opted to give the frame a light sanding. 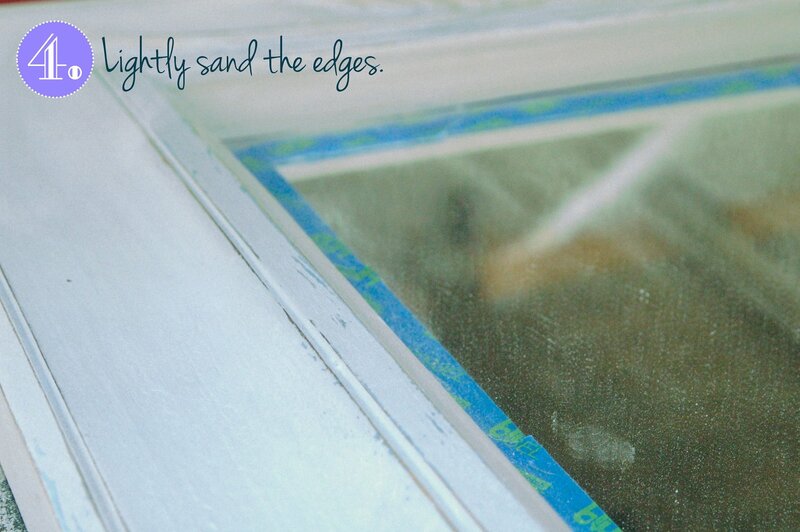 Using a sanding cube, I simply buffed up around the edges and corners. Easy peasy! We’ve cleaned, painted, and sanded. Now we wax. 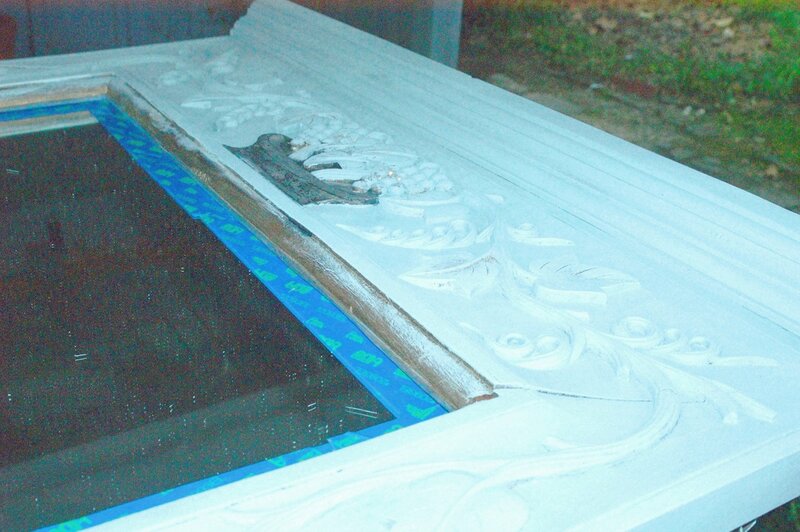 This will act as a sealer to the paint. 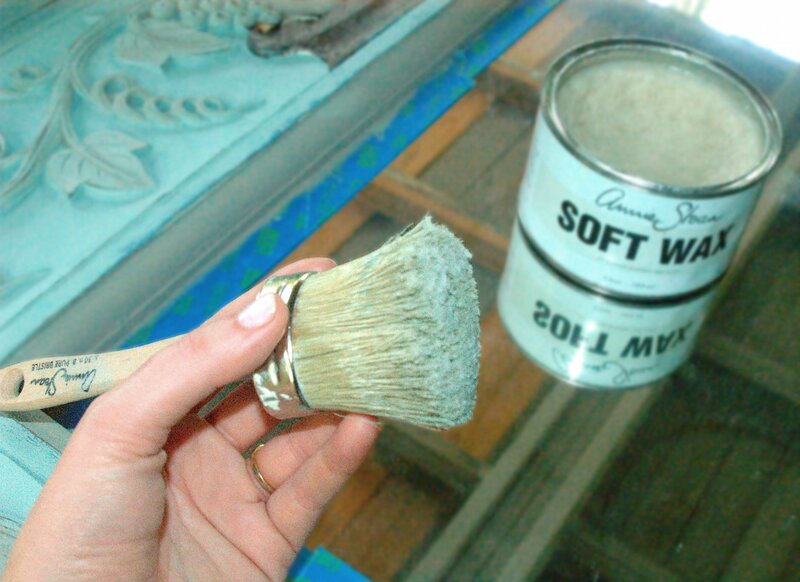 If you want your piece to look more aged and weathered, apply a coat of clear wax, and then apply a dark wax on top. I stuck with just the clear wax for this project. Don’t get carried away. A little goes a long way! Apply the wax in an X pattern…again this is not supposed to be perfect. 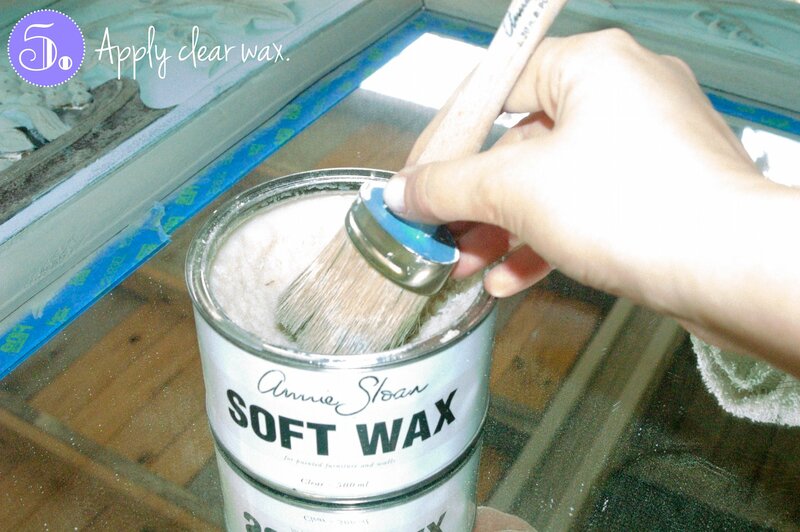 Wipe away wax until it feels smooth to the touch. And we are DONE!